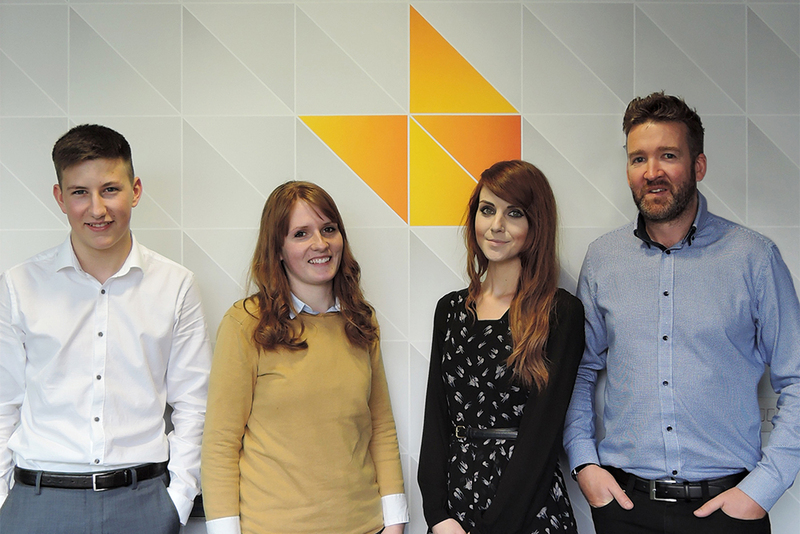 Watson Batty Architects has announced four new appointments at its Leeds Studio as it celebrates 40 years in practice. Nick Hewitson has joined the practice as Project Architect. He brings ten years’ industry experience including time overseas in Poland. His knowledge spans all sectors from design feasibility stage through to delivery and a previous role as apprentice site engineer means that he has strong knowledge of onsite construction techniques. More recently he worked on the North East Priority Schools Building Programme. At Watson Batty Nick will initially be assisting the education sector team. Lauren Perry has also joined Watson Batty as Business Support Manager. With a creative industry background and experience working with brands including ASOS Plc and Tesco Plc. Lauren is specifically tasked with managing the Watson Batty brand and image. With experience in architectural practice having worked for Foster and Partners, she will be instrumental in managing marketing content as well as bid tender documentation. Jay Wheeler is a new Architectural Assistant having graduated from Sheffield University of Architecture. She spent time working for an Ilkley practice specialising in Historical architecture and listed buildings, primarily in church architecture. At Watson Batty she will assist the team in completing drawings and supporting planning applications whilst being assisted through her RIBA Part 1 Year in Practice studies. Robert Sorren is an apprentice at Watson Batty as he completes his final year at Leeds College of Building where he is studying Construction in the Built Environment. Watson Batty has pledged to support Robert through his career development in Architectural Technology. Last year Watson Batty unveiled a new brand image as it announced impressive plans for business growth and targets to almost double its current £4 million turnover over five years. It is currently on track to achieve that with a continued average growth of 20% in recent years. It is currently working on a number of significant projects across a varied range of sectors and has recently completed a dining room and student’s union extension at York St John University, a Royal Mail delivery office at Portsmouth and leisure centres for local authorities at Newark and Washington. Additionally Watson Batty has recently been successful in supporting Wates Living Space Homes on Calderdale Council’s North Halifax Transformation Project.